I met Alfred DePew at the Virginia Festival of Books and we got to talking after my reading. When I found out that he was also a writer, I snagged him for my blog. 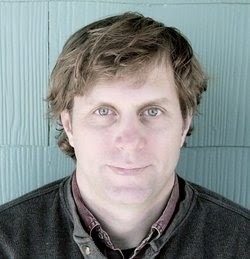 He's been a bookseller, theater press agent, social worker, and advertising copywriter, a short story writer and a coach, and he's taught in France, Spain, England, Estonia, and Russia, as well as at the universities of Vermont, New Hampshire, the Salt Institute for Documentary Studies, and the Maine College of Art. Now he leads writing, creativity and leadership workshops throughout Maine and the United States. 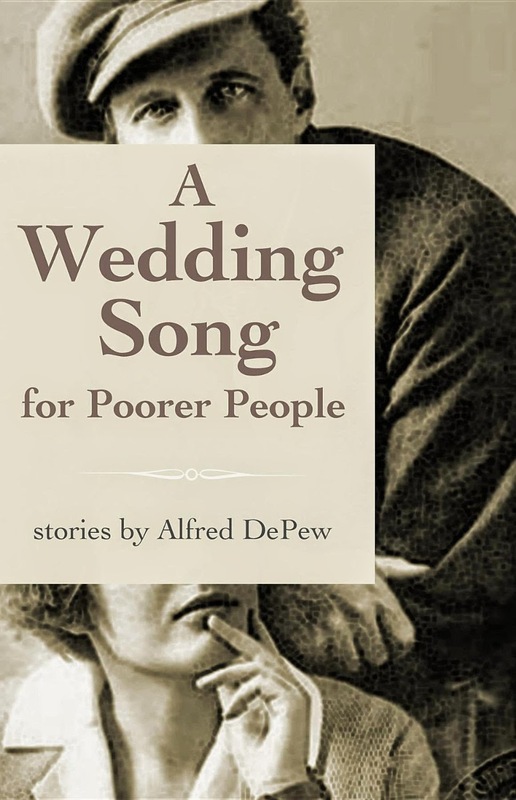 His first book won a Flannery O'Connor Award, and his second book, A Wedding Song for Poorer People (great title) is all about the longing that exists in all of us. Alfred and I had a hours long conversation by phone. I typed out notes! I wrote them by hand! We were both laughing and engaged! And I lost the notes. But there is always something that remains, and here it is. And I'm absolutely thrilled to have Alfred here! 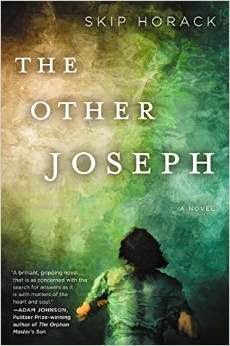 I absolutely was enthralled by this novel, The Other Joseph, by Skip Horack. I just loved it. It does what the best novels do--it makes you think about the world, and family, and legacy, differently. It changes you. About lost brothers--and lost selves--about oil rigs and Russian mail order brides, and the disconnection of love, it's one of the most masterful and haunting novels I've read all year. I'm honored to host Skip here. He's a former Jones Lecturer at Stanford University, where he was also a Wallace Stegner Fellow. The Southern Cross, his short story collection won the Brad Loaf Writers' Conference Bakeless Fiction Prize, and his novel, The Eden Hunter was a New York Times Book Review Editors' Choice. I always want to know what sparks a particular novel, what were you trying to discover in writing it? And what surprised you instead? “Sparks” is a really good way to describe how it is typically some tiny flame of inspiration or interest that compels me to attack any new story or novel, as there’s usually not much more in my head going in than some small, private excitement or imagined situation. And then I get writing—and, as years pass, trying to recall what that genesis flicker might have been becomes more and more difficult for me. And that certainly applies to The Other Joseph. I know I was living in San Francisco at the time, a fish-out-water Southerner, so an exploration of that displacement was certainly an initial attraction I had. And the work of finding compelling reasons to get my main character—Roy Joseph, a somewhat reclusive Gulf of Mexico oil rig worker—from Louisiana to San Francisco led to the piece-by-piece construction of the novel’s plot. And because I work that way, without a blueprint, problem-solving as I go, dreaming up unpredictable yet believable ways to write myself out of whatever corner I’ve written myself into, there winds up being very little that doesn’t surprise me during the creation of a book. Right from the opening pages, your novel structure is fearless. Instead of being a novel about Roy looking for his mysteriously dead brother’s daughter, it becomes a kind of circular journey, where Tommy is also searching for Roy. Both brothers are gone to each other, yet they communicate to each other. Go, they say. Speak. Tommy is actually telling Roy’s story from the journal he found, which give his brother life. How and why did you decide to structure the novel like this? The decision to bookend Roy’s narrative with a foreword and afterword from Tommy came very, very late in the game. In previous drafts, Tommy was a completely absent character remembered only in flashbacks—a revered ghost who haunted the novel, basically. And I suppose in the end I just couldn’t resist the urge to give him a voice . . . and also to let him speak on how much Roy meant to him. Originally, Roy—kid brother to lost Navy SEAL hero Tommy—was solidly the “other” Joseph in my eyes, stature-wise, but then I came to realize that the manuscript I’d written was as much of a tribute to him as it was to Tommy. So it is with brothers, and by adding those aforementioned Tommy sections I hope I was able to help drive that idea home some. So many of the details, especially about oil rigs, are so vivid. What was your research like? I really enjoy the research aspect of fiction writing, and plenty of that was necessary for this book. Particularly with regard to the oil industry and military features of the novel. Being from south Louisiana, I have a pretty good, albeit mostly superficial, knowledge of the former—but I also have quite a few friends and contacts with much more direct ties to that world, so I was sure to lean on them. As for the novel’s military aspects, I’m fortunate to have a retired (and patient) Navy SEAL cousin who spent more time answering my questions and steering me straight than I had any right to ask of him. And then there was all the traveling and wandering necessary to create an authentic and memorable sense of place, visiting and revisiting the novel’s various settings as I attempted to view them through the lens of my narrative. 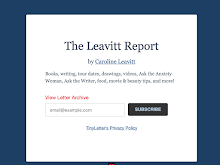 Finally, of course: so many books, articles, etc., and so many websites. 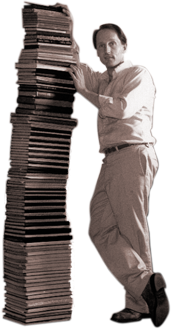 What a gift that us fiction writers don’t have to keep tabs for a bibliography. What I so deeply admire about this novel is the way that grief soaks every page, but so does hope, and the power of imagination. The truths we expect are not the ones we are given, and nothing is like it appears. We are all haunted, but perhaps, just for a moment, a light can be turned on in the darkness. So much is lost in this extraordinary novel, but there are glints of things that might be found. Can you talk more about this please? Wow, I just want to keep reading the question! I really appreciate those kind words, here and throughout, and I’d love to think that—despite the sad and tragic aspects of the novel—readers won’t read The Other Joseph as pessimistic or nihilistic in its worldview. To quote one of the characters in the book: “Triumph without struggle means nothing.” And regardless of outcome, I’ve always seen much to celebrate in the way our ability to hope, and even the power of our imaginations, can help us fight that fight. I always want to know about craft. What kind of writer are you? Do you plan things out or wait for that pesky muse? As I touched on earlier, in the beginning I don’t create from an outline—though as the draft progresses I’m certainly always on the lookout for scenes or moments to write toward. Which isn’t to say that I wait around for a muse to sing me to work either . . . more like I sit down at a computer every morning and don’t let myself quit until I’ve hit whatever particular word-count goal I have for the day. The only thing I have a pretty good sense of at the outset is approximately how long I want the book to be, as anticipating that helps me with the plotting and pacing of things. And as always when I’m speaking of my process, please note that this is just how I do things. I know many good writers who work very, very differently. I bought a little skiff not so long ago, nothing special, but as spring arrives in northern Florida I’ve been having a ball exploring all the rivers around here. Waters have always captured my imagination—that’s pretty obvious from the novel, actually—and after several years of being boat-less it’s been fantastic getting to pour over maps and scratch that itch again. First off, thank you for all of these questions. I’m such an admirer of your work, so it means so much to me that you enjoyed the book. Now, I can’t think of a question you should have asked—but I’d love to suggest that you check out a debut story collection by a friend of mine: Molly Antopol’s The UnAmericans. When I read her book last year I was reminded quite a bit of your wonderful novel Is This Tomorrow, so I definitely recommend her to you and your fans. 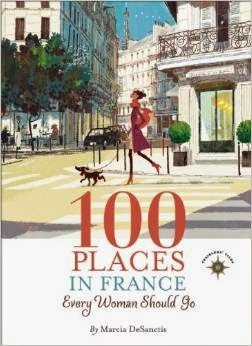 Put together the words France and "100 places" and I am ready to buy my plane ticket instantly. Marcia DeSanctis is the New York Times bestselling author of 100 PLACES IN FRANCE EVERY WOMAN SHOULD GO (Travelers’ Tales/Solas House). She is a former television news producer who has worked for Barbara Walters, ABC, CBS, and NBC News. An award-winning writer, her work has appeared in numerous publications including Vogue, Marie Claire, Town & Country, O the Oprah Magazine, National Geographic Traveler, More, Tin House, and The New York Times. 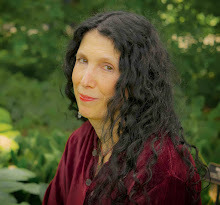 Her travel essays have been widely anthologized, including four consecutive years in Best Woman’s Travel Writing, and she is the recipient of three Lowell Thomas Awards for excellence in travel journalism, as well as a Solas Award for best travel writing.And her book, is wonderful. I asked her if she'd write something for the blog, and I'm honored to host her here. Thank you. Marcia! My book has the title of a guidebook, but it’s not that, not exactly. The New York Times described it as “essays on where to go in France and why”. That was accurate. It’s a book of essays and reported stories about place with quite a bit of travel advice mixed in. I had to choose 100 places (or in some cases, experiences) about which I could do some deep writing, and hopefully, in the spirit of France, do it with a light hand, that integrates history with lots of descriptive detail about beautiful things. What I chose to include had to fit one of several criteria. First, is there a story of a great woman in history around which I could build the piece? An example of that is the chapter on Château de Grignan, a place that is interlocked in the history of Madame de Sevigné, one of France’s great writers and most famous mothers, who has a pretty remarkable story herself. Second, is it something so beautiful that it causes our hearts to stop? The chapter on three stunning hikes in Provence is an example of this, as is Château Vaux le Vicomte. Etretat in Normandy. The Mer de Glace in Chamonix, which, by the way, is what inspired the climax of Mary Shelley’s Frankenstein. Third, is it a place where I have deep personal history, such as St. Tropez, from which I can cull memories and use as a bridge across time? And is also deeply, poetically, femininely French? Fourth, is it en experience so iconic that it had to be included – something like sampling chocolate in the Basque Country or celebrating Bastille Day on the Champs Elysées? This book was an opportunity for me to crystallize lots of profound feelings for a country I know very well, a country that changed me. To try to express the transformative powers of France. To put down on paper, in effect, all that I loved in France’s geographical and historical diversity, while trying to impart some wisdom and bon mots about traveling there. Not just where to shop in Paris, but why. Not just my recommendation to snorkel on Porquerolles, but why. Not just to visit Versaille, but why. Versailles is not merely an extraordinary excursion from Paris. Rather, it is a place to understand why Marie Antoinette continues to fascinate us. It has little to do with her diamonds and wigs, and more to do with her story, on royalty and birthright. These are big, big themes – female ones – about marriage, family, aging, selflessness and selfishness, and we are confronted with them at Versailles. Everything in travel can conspire to enlighten -– the architecture of devotion, the majesty of green spaces. I try to convey my awe wile sparing the details of how to get there, and where to eat. I try to say, here is the bigger story. Sure you should go to that pretty lighthouse off the coast of Brittany. But when you’re there, try to decipher the metaphoric possibilities of a giant structure whose purpose is to help mortals weather storms. They are overpowering. Most inspiring was the country’s rich history of powerful, brilliant women, and I enjoyed having the chance to unpack some thoughts about why we should care about them and the places where their memories are kept vital and vibrant. Catherine de Medicis, Joan of Arc, Colette, whose book Earthly Paradise was my go-to inspiration while writing this book. As was Edith Wharton’s A Motor Flight Through France. George Sand – the bored housewife turned rockstar romantic writer and lover of Chipin. The painter Elisabeth Vigée le Brun, poet Louise Labé, Marie Curie. These women are giants. Eleanor of Aquitaine. There was never a woman with her stature and power, and there probably never will be. Much to my surprise, it’s possible to feel amazingly close to a long-departed queen when you are standing in her castle. I was also motivated by the challenge of trying to create a sort of hybrid travel writing genre. France as a subject that has been covered to smithereens, so my challenge was to have an entirely different take. To take the country I lived in, worked in, was married in and which I love, and try to combine memoir and narrative with advice, and hopefully, to carry the reader along with me on this journey. My goal was not to overemphasize the girly tropes of champagne and perfume and fashion. I really attempted to forge some fresh language (in fact, tacked up on my wall, I kept a running list of words and expressions I wanted to avoid. No to “hidden gem”, “verdant”, “ooh la la” and “city of light” or “golden”). I was quite inspired by this quest: to convey my love for France and even its inescapable clichés and to do so in a respectful and hopefully original way. I found this book absolutely irresistible. 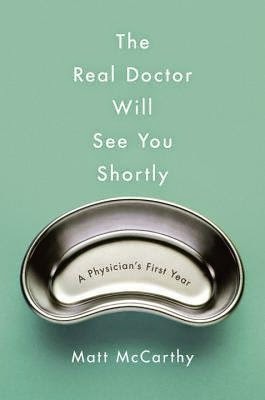 Brave, funny, and full of truths, The Real Doctor Will see You Shortly, offers an insider's look at what it means to be a doctor. 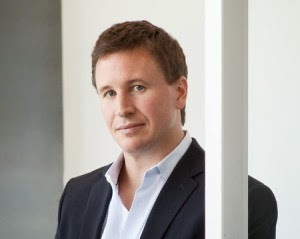 Matt McCarthy is an assistant professor of medicine at Weill Cornell Medical College and an assistant attending physician at New York-Presbyterian Hospital. He has a degree in molecular biophysics and biochemistry from Yale and a medical degree from Harvard. His work has appeared in Sports Illustrated, Slate, The New England Journal of Medicine, and Deadspin, where he writes the Medspin column. His first book, Odd Man Out, was a New York Times bestseller. Thank you for being here, Matt! I'm always interested in what made you decide to write this book at the particular time that you did? What was the spark? I was having dinner with my editor three years ago and he said, “Have you thought of writing a book about medicine?” It wasn’t something I’d been thinking about, but the next day I went for a walk with my wife in Central Park and we started talking about why we don’t enjoy medical books, despite the fact that we’re both doctors. The short answer is that it’s not easy to write about a job that can make you so frustrated without sounding like a bit of a jerk. The book is so brave, so candid, and so funny. What surprised you in the writing? Thank you. The big surprise came when I read the completed manuscript for the first time. There’s a shift in tone that occurs between parts 1 and 2 that I wasn’t expecting, and another shift between parts 3 and 4. When I put the manuscript down, my first thought was of the Radiohead song “Paranoid Android” which has four distinct parts that are played in different keys and with different tempo. Somehow that song holds together beautifully. I wondered if my tonal shifts would hold together, or if readers would find them jarring. I also thought paranoid android was an apt description of how I felt as a first-year doctor. You talk about having had a mentor who helped you move from scared young doctor to seasoned pro? Most people are familiar with a hierarchy in medicine, but they don’t know that first-year doctors learn almost everything from second-year doctors, not from the senior physicians. I was fortunate to train at a place—Columbia University Medical Center—that had a number of brilliant, funny, talented young doctors to show me the ropes. I will remember what I learned from them for the rest of my career. When your own health fell apart, you began to see being a doctor from the viewpoint of a patient. What do you think more doctors should be aware of when they treat patients? And what do you think patients should be more aware of when it comes to their doctors? Doctors don’t realize how often they use medical jargon that confuses people. We have to remember that medicine is a foreign language, and it’s important to simplify things in a way that doesn’t oversimplify. I get very worried when a patient is quiet for more than fifteen seconds, because it usually means they’re not following what I’m saying. It’s kind of like being on a date: if one person is doing all of the talking, something’s wrong. Patients should be aware that we want you to speak up if you’re confused, and we won’t take it personally if you want a second opinion. How do you see the medical profession changing? I’m concerned that morale in medicine is low. Almost every doctor I know is a good person who cares deeply about patients, yet there’s an endless stream of stories written about what’s wrong with medicine and the people who practice it. There just seems to be less incentive to become a doctor than there was ten or twenty years ago. My guess is that more of the top minds will go into other, more lucrative fields—consulting, finance, etc.—instead of medicine. Students at my school, Harvard Med, spend more than $80,000 on tuition and living expenses. And that’s just for the first year. As an intern, I spent a lot of time obsessing about my patients and not screwing up. Turns out that feeling never goes away. You’d have no way of knowing this, but for one week during my intern year, my wife was my direct supervisor. At the end of the week, we were required to give each other feedback. I told her that she was great to work with and she told me I check my email too much. I do.